How Tom Wheldon stumbled into the No. 1 spot on Twitch. Tom Wheldon started streaming on Twitch as JurassicJunkieLive two months ago. He was an intrepid tinkerer and a veteran video creator who started making YouTube videos before it was the cool kids' multi-million-dollar industry. Wheldon regularly discussed video games, so Twitch felt like a natural evolution of his online presence -- his channel quickly earned a following of about 100 folks, some of them tuning in every Friday to watch Wheldon scream his way through a horror game. 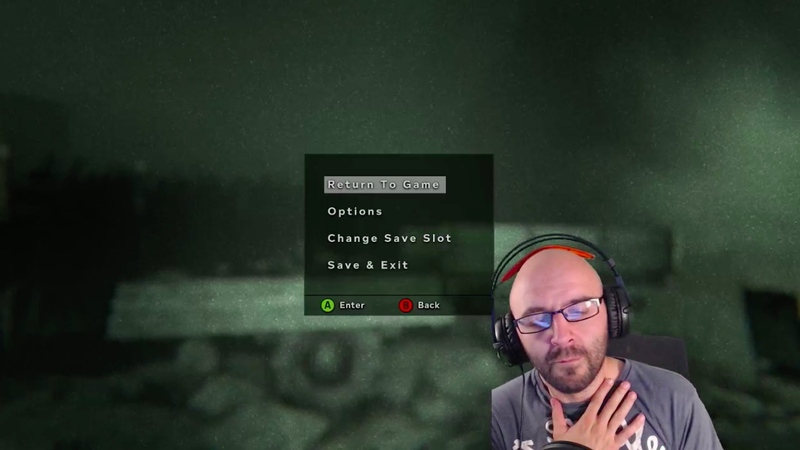 Last week, Wheldon booted up Outlast 2 for his regular "Frightday" stream, and he became Twitch legend. Roughly an hour and a half into Wheldon's stream, as his character was wandering around a corpse-ridden desert in the dead of night, an on-screen crow spooked him. He yelped and immediately looked down -- and Wheldon shrieked, clutching his chest and leaping up in his chair. He paused the game, flipped his headphones to the side and leaned down to pick up his 2-year-old daughter, who had crept into the room to deliver a drink -- a pre-mixed can of Jack Daniels and soda -- to her streaming dad. "Are you OK?" he asked, laughing and lifting her onto his lap. That moment, a clean jump scare followed by an adorable interaction, was clipped by one of Wheldon's viewers, allowing anyone on Twitch to watch it over and over again. Someone shared that clip on Reddit and it hit the front page. By Monday, Wheldon being scared witless by his daughter was the most-watched clip on Twitch, racking up more than 1 million views. His channel exploded and today has well over 3,000 followers, up from the pre-fright figure of about 100. Wheldon isn't a stranger to viral videos, but this is the first time things have worked out so nicely for him: The clip actually links back to Wheldon's page, allowing people to easily find his channel, follow him and watch more of his videos. Some of his YouTube creations over the years have gained similar traction, but people ended up "freebooting" these videos -- essentially stealing and re-uploading them to Facebook or other video players, taking the views (and credit) for themselves. When did you realize this was actually a big deal? Well, at first I saw it had landed on the front page of Reddit, so I already knew I would be getting some good hits from it, but the moment I knew it was big, was when I noticed it was fourth place for most-watched Twitch clip on the day. I then left it for an hour and came back to check again -- at this point I was No. 1 for the daily stats. I then checked weekly and monthly stats, and saw I was No. 1 on both. The last thing to check was "of all time," and I was third. At that moment I felt the adrenaline kick in, and spent the rest of the day hitting refresh to watch it climb to second and first place. How have you felt over the past few days? The fact my channel has been getting a lot of attention is an amazing thing to have, but this means I've had a phone glued to my face for the past two days. I've become addicted to checking social media, news outlets and every place you can think of. I think once this dies down I need to give myself an internet detox for a week. Your set-up looks professional, especially for a small-time streamer. What motivated you to renovate an entire portion of your house and go all-in on streaming? I run my own business from home and have done for five years now. I've never had a real work space, so this year decided to roll up my sleeves and build an office in the loft. This room is also the furthest distance from my daughter's room so I started to game in the office at night instead of the living room so I wouldn't wake her. I thought I would give live streaming a try as the room is perfect for it with the lighting and a place to hang my green screen. Regarding the "professional" look, this is just down to me falling in love with tinkering around to get the perfect setup. At one point I was getting more pleasure out of playing with the streaming software than I was playing the games. Have you had any problems with freebooting this time around? How big of an issue is freebooting for small- and mid-size streamers hoping to catch a break? I've been on YouTube for seven years now (and used to make videos way back before YouTube was around). My channel gets around 300 to 500 views a video, on average, and has kept my happy in the years. Sadly, anytime I've made some content that's been good enough for people to share, it's been turned in to GIF and shared on Reddit, or re-uploaded and freebooted to Facebook. The last time this happened was on a video called "How to make a game," and it got 5 million views on other websites and only netted me 100,000 views (and that was only because I posted the original link in the comments on the freebooted videos). So, sadly, freebooting is a thing that can starve any small channel and stop it from getting off the ground. This is also what made me want to give Twitch a try. How do you plan to leverage this moment? By doing one thing: listening to my viewers. They were the ones who said they liked me playing scary games due to my reactions to jump scares. If it wasn't for them, along with the perfect timing of my partner sending my daughter to hand me a drink, then that small 30 seconds of footage would have never happened. So, I will continue to listen to my viewers. Anything else you want to say about this strange experience? A few people have questions if my daughter, Jessica, is OK. Yes, she took it like a champ -- in fact, she hugged me, said "bye bye" to the stream and took herself off to bed completely unfazed. She has way more backbone than I have.